Three phase Line Reactor 3PR-0004C3L introduces specific amount of inductive reactance (impedance) into a circuit. 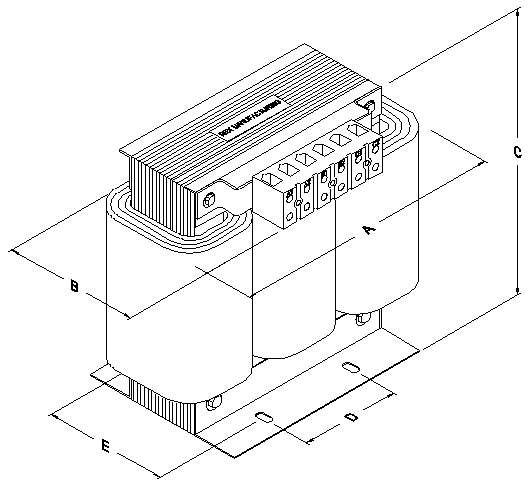 This inserted impedance reduces line harmonics, moderate line transients, holds down spikes of current, limit peak current, absorb power line disturbances which could damage inverters, variable speed controllers or other voltage sensitive equipment. Basic Dimesions: A=4.25"; B=2.25"; C=4.375"; D=2.875"; E=2.125".